HILLSBORO — With a perfect performance, the Sherwood High School boys cross country team remained perfect in Pacific Conference competition. The Bowmen remained perfect in conference meets, improving to 2-0, by running to a 15-50 win over Century in a dual meet held Sept. 26 at Century High School. The Century boys moved to 0-3 in conference meets with the loss. 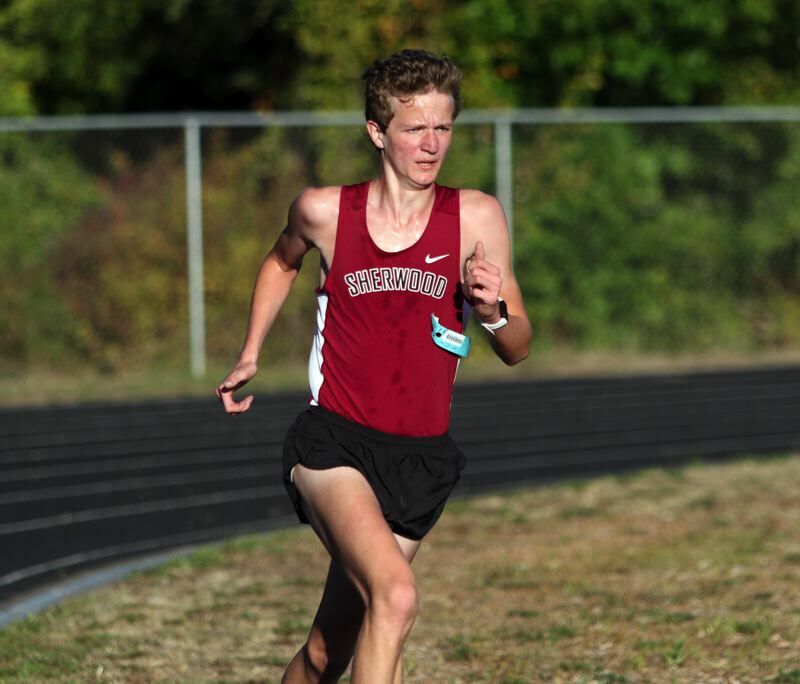 Senior Henry Giles led the way for Sherwood in the victory at the meet, which also included Westside Christian. After staying back, and running with the pack, early in the race, Giles took the lead and separated himself from the competition, winning the 5,000-meter race in a time of 17 minutes, 16.56 seconds. Giles was followed by a whole bunch of his Bowmen teammates. Sherwood junior Thomas Osborne ran to second place in a time of 17:51.00. Sherwood sophomore Ismael Alvares finished in third place in a time of 17:51.68 and freshman James Crabtree was fourth at 17:57.31. Also for the Sherwood boys, junior George Westover was sixth at 18:24.78, junior Larson Johnson was seventh at 18:40.38 and freshman Jeffery Rogers was eighth at 18:41.53. The Sherwood girls also picked up a win at last week's meet, scoring a 22-37 win over the Jaguars. With the victory, the Lady Bowmen also improved to 2-0 in Pacific Conference dual meets. The Century girls fell to 0-3 in conference meets. Sherwood junior Madi Ramos ran to victory in league competition for the second straight time. She won the race at Century in a time of 20:58.88. Her Lady Bowmen teammate, sophomore Kari Eddington, was right behind her in second place at 21:00.84. Sherwood sophomore Brooke Smith was fourth at 21:18.53. Also for the Lady Bowmen, senior Emily Pannell was seventh at 22:09.18, senior Danielle Clem was eighth at 22:11.91, senior Jacqueline Angelel was ninth at 22:18.22 and senior Emily Boynton was 10th at 22:25.47. The Sherwood teams will next face Forest Grove and Newberg in a conference double dual meet to be held Wednesday at Newberg High School. The varsity boys race is set to start at 5:15 p.m., with the varsity girls race to follow at 5:45 p.m. 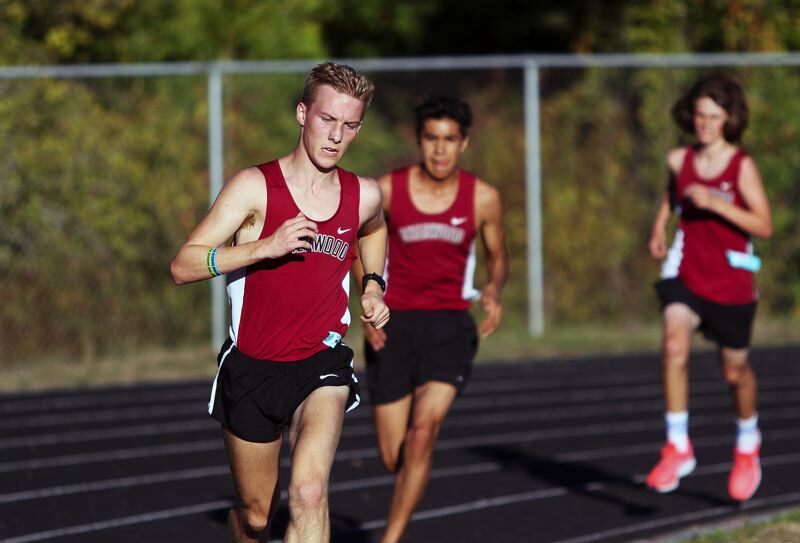 The Bowmen teams will then be in action on Saturday when they compete at the Bowmen Raceway Invitational, to be held at Portland International Raceway. The varsity girls race is set to start at 11:30 a.m. The varsity boys race will begin at noon.